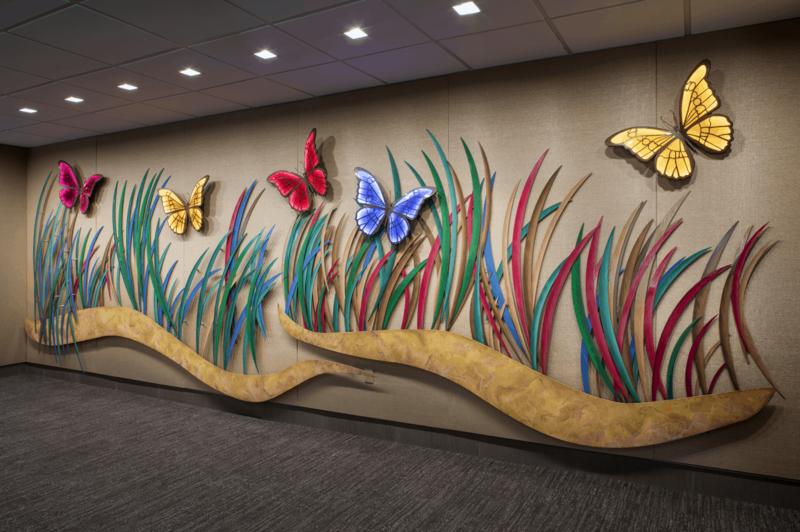 The colors of the heartland Great Plains is the inspiration behind this wall sculpture featured in the new Fred and Pamela Buffett Cancer Center, in Omaha, Nebraska. 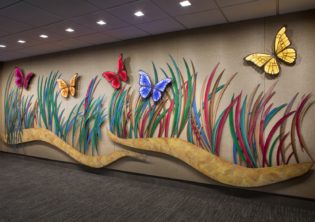 Located in the lobby of the center, this 28-foot sculpture is featured on the main level. 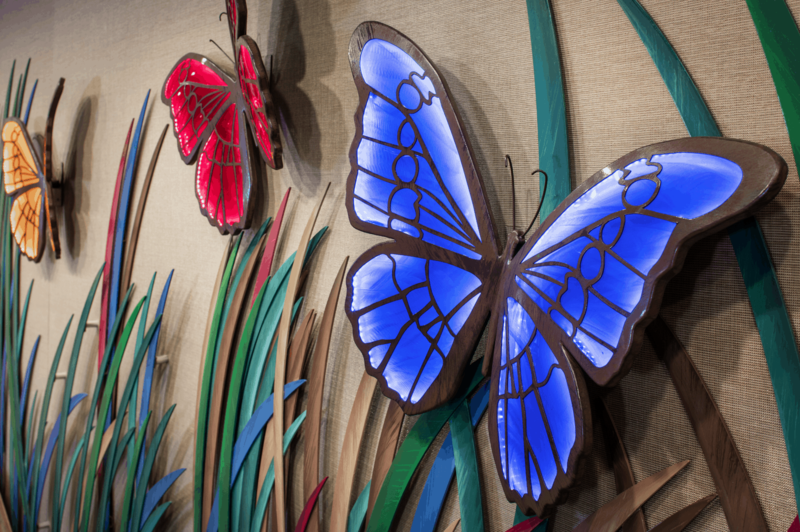 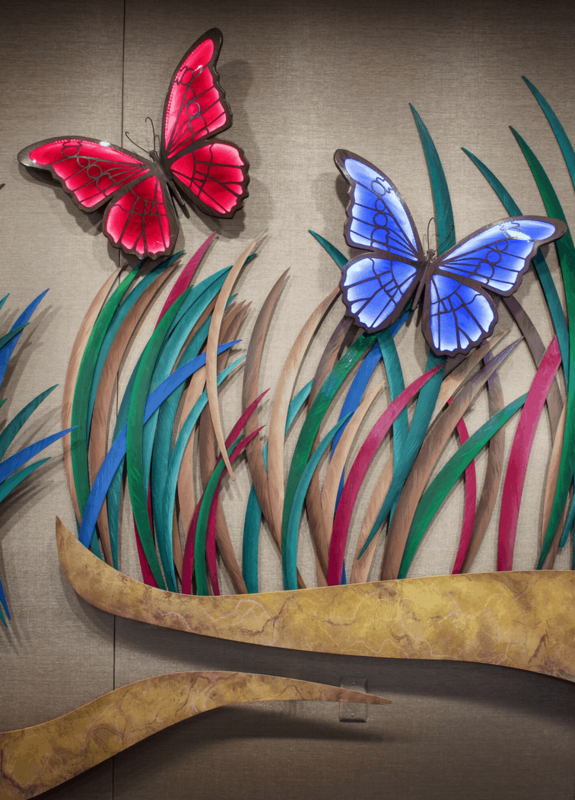 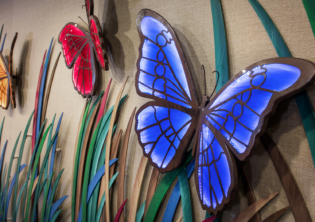 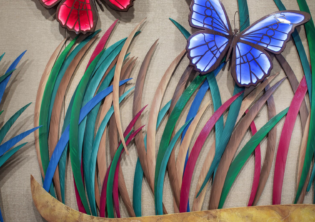 “Colors of the Prairie”, a painted metal Grassland and Butterfly Sculpture, includes five LED back lit, stainless steel and acrylic butterflies, and features aluminum blades of native grasses that represent the changing seasons.